Whether you want to transform the seldom-used garage into a studio or other space, insulate a newly built addition with a garage or have any other need, look to our team. 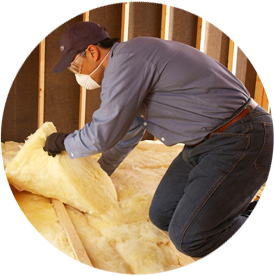 Tidewater Insulators installs various materials—from spray foam to fiberglass and more—and can help you determine the right insulation solution for your garage space. If you need more insulation for your garage and/or home in southeastern Virginia, make Tidewater Insulators your first and last call. We offer the knowledge, experience and resources that few companies can match. No matter what type of insulation you need for your garage, you can rely on Tidewater Insulators for on-time, affordable installation. Give us a call at 757-828-0024 or contact us online. We’re looking forward to working with you!